The only person you are destined to become is the person you destined to be. Those who stay away from the election think that one vote will do no good: 'Tis but one step more to think one vote will do no harm. I have heard that whoever loves is in no condition old. Never lose an opportunity for seeing anything that is beautiful; For beauty is God's handwriting...a wayside sacrament. New Updates! (4/22/2019) We've been working really hard on completing our membership system so you can submit quotes and keep track of them. Once this is complete in the coming weeks there will be a lot more quotes by Ralph Waldo Emerson and other authors. 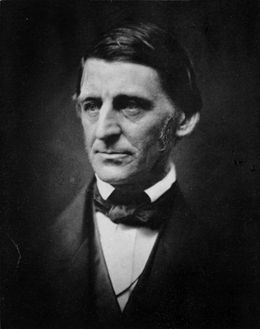 We've also changed the sorting on the site so you now see the latest Ralph Waldo Emerson quotes first. Our goal is to have the best Ralph Waldo Emerson quotes on the web!